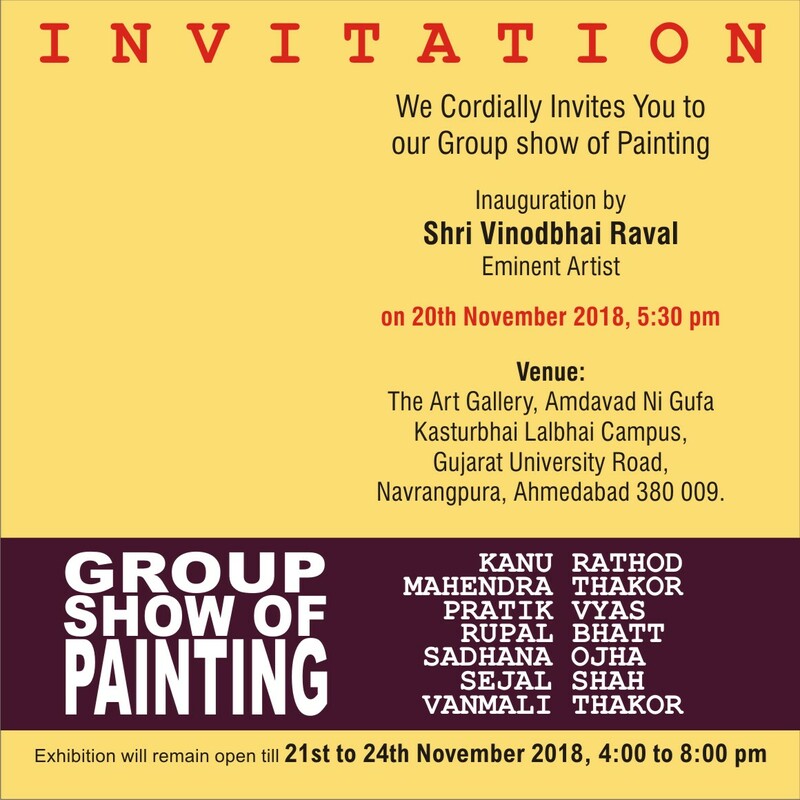 The Art Gallery, Amdavad Ni Gufa, Kasturbhai Lalbhai Campus, Gujarat University Road, Navrangpura, Ahmedabad. It’s a group Show of 7 People. The Show is inaugurated by Shri Vinodbhai Rawal – Eminent Artist.